Welcome to Cycling Sorted, a project run by the Cycle Cambridge team to find out where you would like to make improvements to cycling facilities in Cambridge and the surrounding villages. Using the 'suggest location' pages on the right, you can pinpoint the location on the map, provide a brief description and upload a photo if you have one. For all general maintenance problems such as potholes, gritting cycle routes and overgrown hedgerows, please contact Cambridgeshire Direct on 0345 045 5200 or use the online reporting system. To report a problem with street lighting, please use our street lighting fault report form. 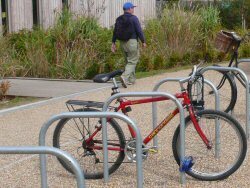 Know somewhere where some cycle parking is needed or could be improved? 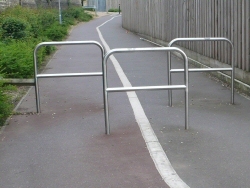 Is there a physical obstruction on your route which causes a problem?